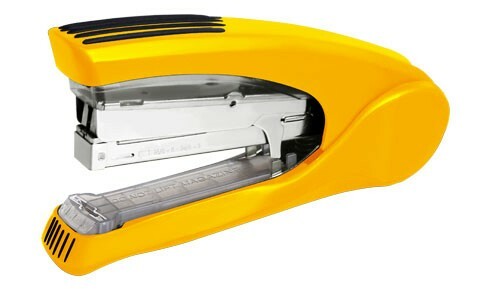 Less effort flat clinch full strip stapler with unique by-pass feature that facilitates in stapling 2-40 sheet with same staple. Quick loading mechanism and reload indicator. BOTTOM LEGS OF STAPLES ARE STRAIGHT REDUCING, UPTO 30% STACK HEIGHT. Staple 2-40 sheets with same staples.